Become a Sponsor of Fairport Oktoberfest! Browse: Home / Become a Sponsor of Fairport Oktoberfest! Whether its a Family Sponsorship for you and the kids or a Title Sponsorship for your business, there is a sponsorship level that can work for you at Oktoberfest 2015. Now in our sixth year, Fairport Oktoberfest has grown at a rate of more than 30% each year, putting us on par with the largest Oktoberfests in New York State. Nearly 5,000 people attended last year, 80% coming from within 5 miles of Fairport. Of those attending, 35% of attendees claim an average household income of over $100,000 annually. Clearly, Fairport Oktoberfest has become another Fairport festival tradition, one that gives your business great exposure to an affluent local audience. Please know that the proceeds from this event, which comprise about one-third of our annual operating budget, are used to support FPBC programs and operations throughout the year such as: design and fundraising for the Veteran’s Memorial at Potter Park, the re-design of Perinton Park entrance on the 31F corridor, support of Learning Links and FCSD’s CPAC, coordination of Community Service Sentencing, Adopt-a-Trail, student internships, tourism and destination marketing, festivals and events, and so much more. 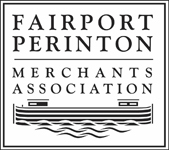 These programs benefit Fairport and Perinton residents directly, impacting the local economy, improving the public realm, and enhancing our unparalleled quality of life. We hope you’ll consider providing support. Please take a look at the Fairport Oktoberfest Sponsorship Application and consider supporting Fairport Oktoberfest this year.